Buntingford, Braughing, Puckeridge, Standon, Ware, Hertford and more! We are based just outside Ware in Hertfordshire and below is a map with an outlined section that shows roughly the areas we operate in. 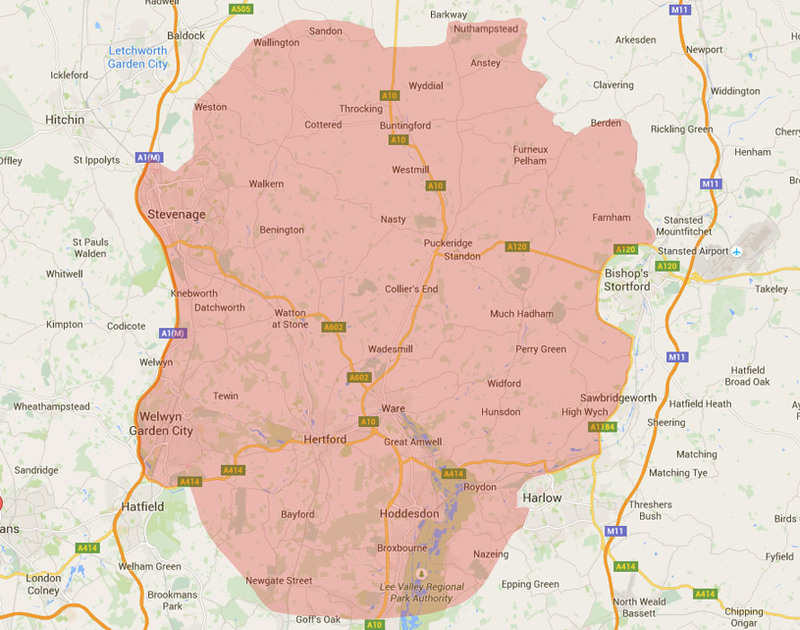 The areas we cover include (but not limited to) Buntingford, Braughing, Puckeridge, Standon, Ware, Hertford and all the villages in between! We can quote for any journey you may require traveling within this area, or any journey to or from it to any UK destination.